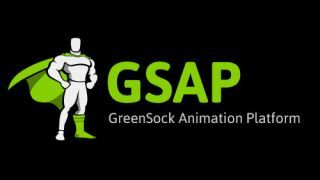 GSAP also helps resolve browser inconsistencies for easier user testing, enables you to use objects to manage complex animations, and runs up to 20 times faster than jQuery. It has become a standard in the industry, and has been used in countless award-winning websites. The best way to learn GSAP is to see it in action. In this tutorial you'll learn about the key features of the platform with working examples that you can put to use in your projects today! Tweening is the process of changing a value over time to create an animation. For example, moving an object from A to B, scaling it, or rotating it. You can also tween your own custom values. When firing callbacks you may want to pass information along with the callback to the function that handles it. You may need to pass information about the caller or specific values. This enables you to integrate your animations with the rest of your code base. All parameters are passed via callback+"Params", that is onUpdateParams. Okay, so you can now create tweens and ease the tweens, fire callbacks and parameters. But how do you control animations? Often you want to start or stop them based on other events. The CSSPlugin is included when you use TweenMax. It is a huge time-saver, in that it normalises behaviours across browsers and auto-detects when it is needed for animations. CSSPlugin can handle colour tweens, SVG animations and optimised performance with caching and other internal tricks – and it's often more efficient to translate positions via CSS. You've already seen this in action when you used the opacity and position animations. It works without any special coding! Once you move beyond one or two tweens you may be wondering how to manage multiple animations. GSAP includes a timeline object to do exactly that. You append tweens to the timeline object and can use the position parameter after the tween to time them. You can have tweens run one after another, or have gaps, or even overlap them. Add a couple more images to your HTML with classes logo2 and logo3 respectively. this one start at 0 sec.